Android Currently Dominates Smartphone Market, Will iPhone 5 Release Change It? The question now though is will Android be able to hold to the top for long? With the Apple’s iPhone 5 just a few months away, Google’s Android and the many phone manufacturers running this OS may see their fortunes changing. 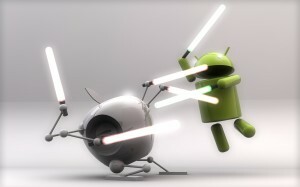 The study reveals that after the iPhone 4s became available with Sprint in the US, Android sales dropped by 6.8%. This brought their market share to just a little over 50%. I think it’s fair to say that once the iPhone 5 launches, interest in Apple’s smartphone will once again increase and we can see Google Android’s share decreasing. Also, while Apple’s numbers may be below that of Google’s Android OS, t’s important to note iPhone by itself controlled 37.4% of the market. Whereas the 50% share that Android has is divided among the many device manufacturers that use Google’s platform. Another thing worth considering is that the iPhone still managed to increase its market share significantl,y with a jump of nearly 9% from last year’s numbers, despite the growing number of Android devices that are flooding the market. Could the iPhone 5 tip the scales in favor of Apple once it launches? We’ll find out in a few months.